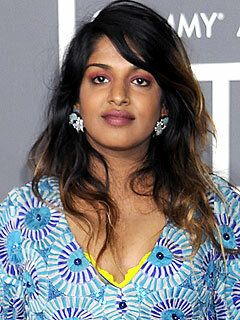 Trivandrum, 15 December 2012: Oscar nominated singer M.I.A will be seen in her first live stage performance in India at the Kochi biennale. The Sri Lankan born artiste Mathangi "Maya" Arulpragasam aka M.I.A, who won an Academy nomination in song writing for "Slumdog Millionaire". She will be seen teaming up with the drummers led by "chenda" drummer Panamanna Sasi and his 45-member team at the Kochi-Muziris Biennale. M.I.A. who began her career in 2000 has risen to prominence in early 2004 for her singles "Sunshowers" and "Galang", charting in the UK and Canada and reaching number eleven on the Billboard Hot Dance Singles Sales in the US, she has been nominated for an Academy Award, two Grammy Awards and the Mercury Prize.